Concentrate on One Subject at a Time By Chunking It! 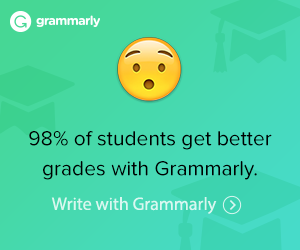 Do you have a student who likes to focus on one course at a time? Our 12th-grade son did. It messed up my beautiful homeschool planner until I decided to match his learning style. How can he only do one subject at a time? I’m glad you asked! My first thought was you can’t do that. Then our college daughter pointed out that they do mini-mesters in college. A mini-mester can be an intensive course that takes only two weeks to complete. Two weeks! Summer classes usually take six weeks. The typical homeschool year is 36 weeks. That could be the equivalent of 18 mini-mesters or 6 summer classes. Think about it. My son wanted to graduate six months early! I know we were on track for his graduation that year. If he could complete the required courses one by one, he might have more motivation to speed it up. Try mini-mesters this summer: Homeschooling Sneak Peek! Do Homeschool Mini-Mesters Really Work? How Do You Schedule a Homeschool Mini-Mester? It took a bit of work to figure out his schedule, but it’s simply a math problem. Divide the number of lessons or pages by the number of days your student wants to take to complete the work. The answer is the number of lessons or pages for each day to meet your goal. It probably wouldn’t work for every subject at the elementary ages, because I think you need daily instruction in reading and math. You could do a modified version of working more on subjects like history or science that are repeated in high school. Try starting your homeschool year focusing on reading, writing, and arithmetic! Leave the other subjects for later in the year. It makes sense that beefing up on the essential skills at the start of the year would make the rest of the subjects easier later on. 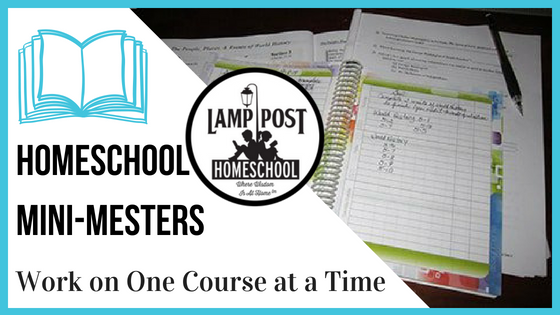 Have you ever tried a homeschool mini-mester?